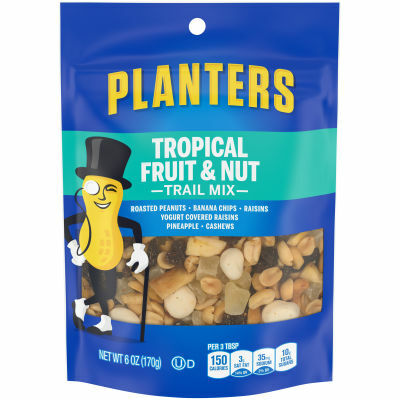 Planters Tropical Fruit & Nut Trail Mix is a sweet and savory mix of peanuts, cashews, dried pineapple, dried bananas, and yogurt covered raisins. - This 6 oz. bag is the perfect snack companion for long road trips. this tropical trail mix is sure to leave you satisfied.